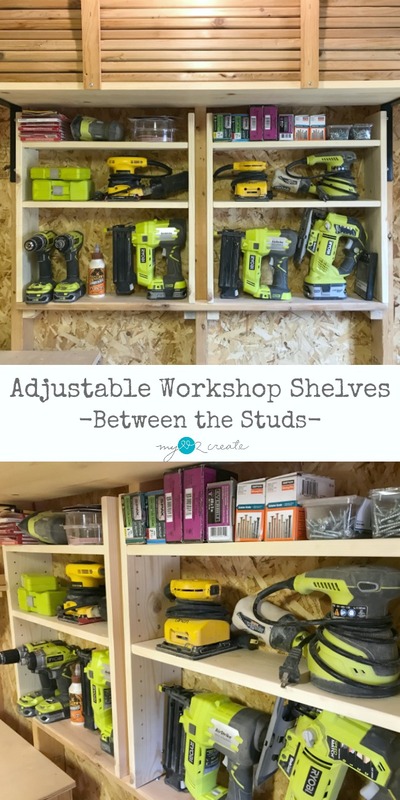 I am so excited to share some easy between the studs workshop organization with you today! Ok, it may not look that pretty, but I am loving them. Upon seeing these, my wonderful friend commented, "A place for everything, everything in its place." Wise words from Benjamin Franklin, and even though I may not totally have a place for everything yet...this is a great start. 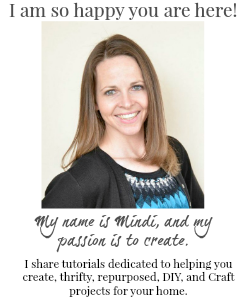 Let me show you how to build your own! 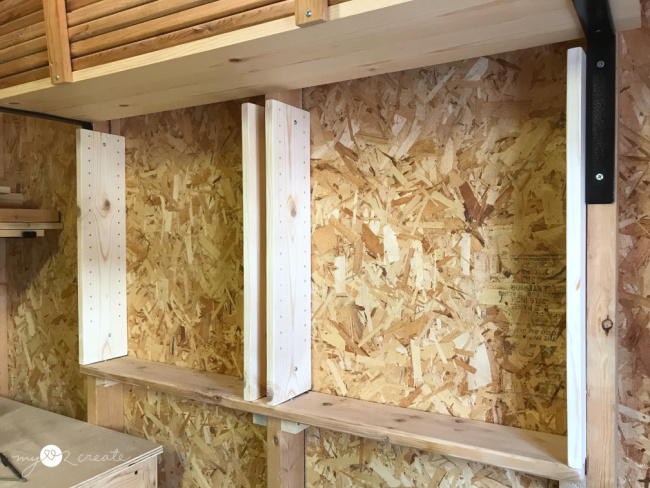 1x6 Boards- Desired amount for your space including enough for the side supports, bottom shelf, and adjustable shelves. Step 1: Determine Shelf length. 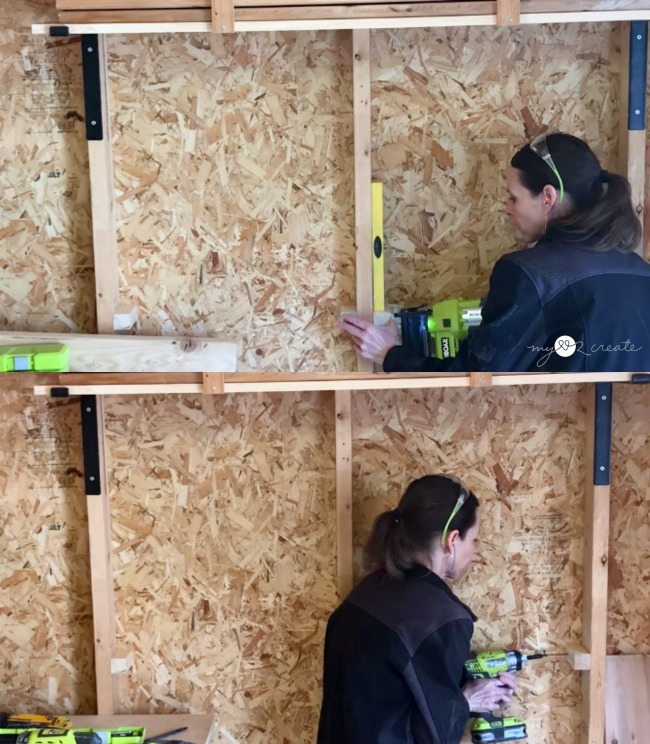 Measure the space between the studs where you want your shelves to go. Cut 2- 1x6 boards to the correct length, in my case I cut four, since I was building between two sets of studs. These will be your side supports that will be drilled into your studs in a later step. 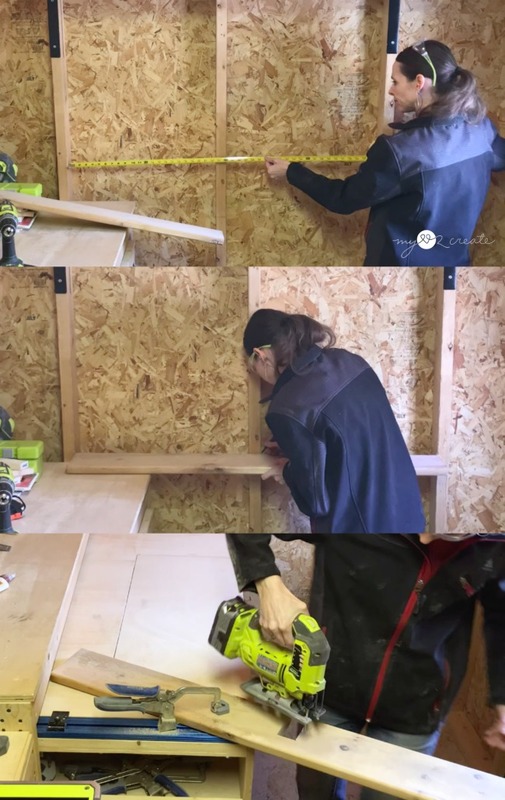 Step 2- Measure and cut your bottom shelf board. 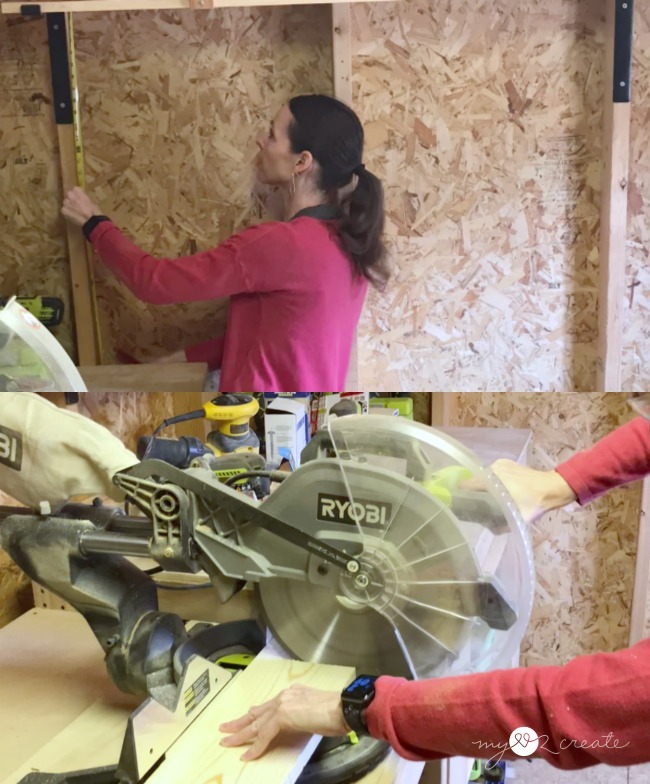 I measured for length, marked where I needed a notch for the center stud, then cut it out with my Ryobi Jig saw. Step 3- Drill adjustable shelf holes into the side boards. 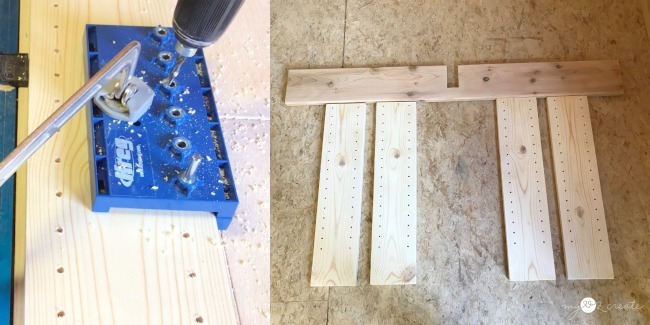 Using my Kreg Shelf Pin Jig...which I Love, I drilled holes into all my side boards so my shelves can be adjustable. Step 4- Install scrap wood support boards and bottom shelf. I used 2x2 pieces of scrap wood as supports for my bottom shelf to rest on. You can use any kind of scrap wood. 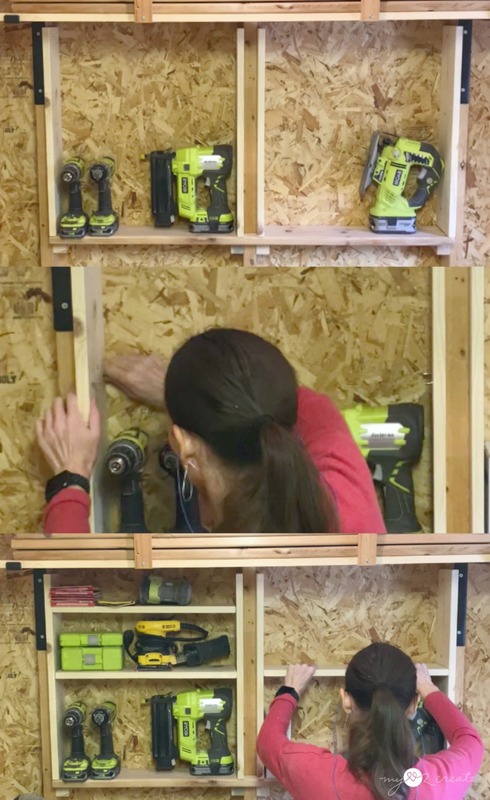 I measured where I wanted the bottom shelf to sit, then used a level and a nail gun to attach my support pieces to the studs. The nail gun is optional, but I like using it to have my support pieces already secured for when I drill in the screws. Once I had them nailed in the correct position, I drilled two-2" screws into each scrap piece to secure them to the studs. Then I placed my shelf onto the supports and added two 1 1/4 screws into each support piece. I recommend countersinking these into your bottom board so the sides have a flat surface to sit on. Step 5- Attach the side boards to the studs. Attach your side boards to your studs, with 1 1/4'' screws. Use your level to make sure everything is nice and straight. Once they are secured to the studs, it is time for the final step! Step 6- Cut your shelf boards to size and install them to your desired height with adjustable shelf pins. Now for the fun part! 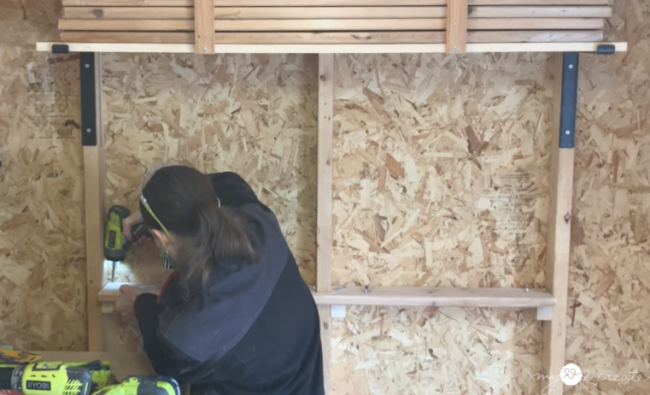 Once you have cut and sanded your desired amount of shelf boards you are ready to install them. Using the items you want to store on your shelves as guide, determine where your shelf pins need to be placed. 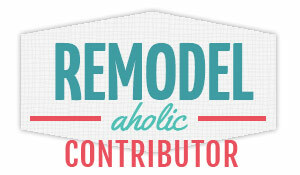 Add the shelf pins, place your boards on top and load up your new amazing "studly" shelves! This is a sight for sore eyes! My work space will now be free of clutter...happiness. Want to know what best part is? 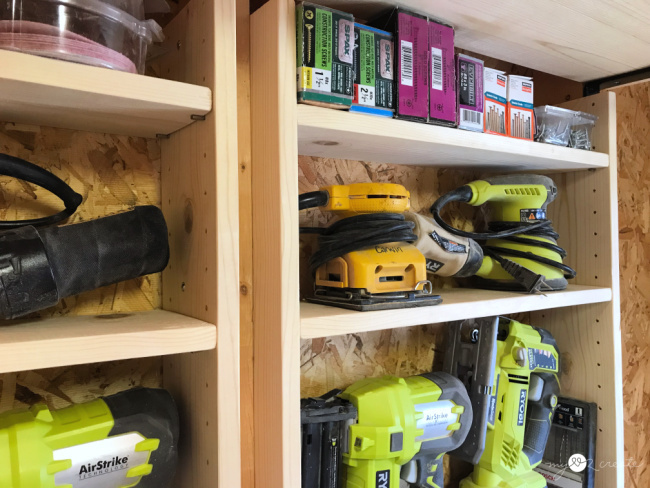 Since these shelves are nestled in-between the studs, they hardly take up any space on the wall. 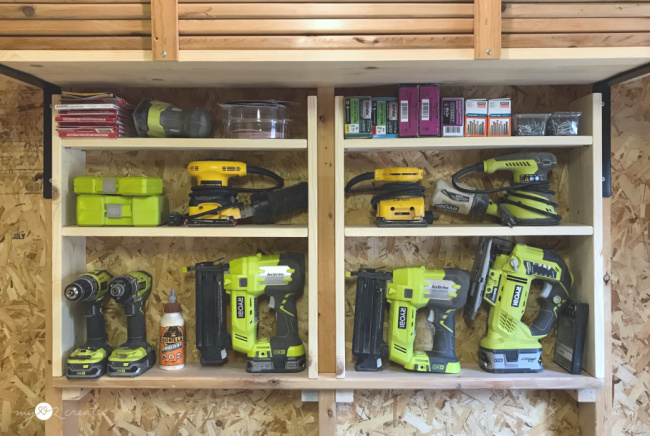 And when I decide to change things up...it is always nice to have options...I can adjust the shelves to fit my storage needs! All this awesomeness for only a couple hours of work...why didn't I do this sooner? Why?! 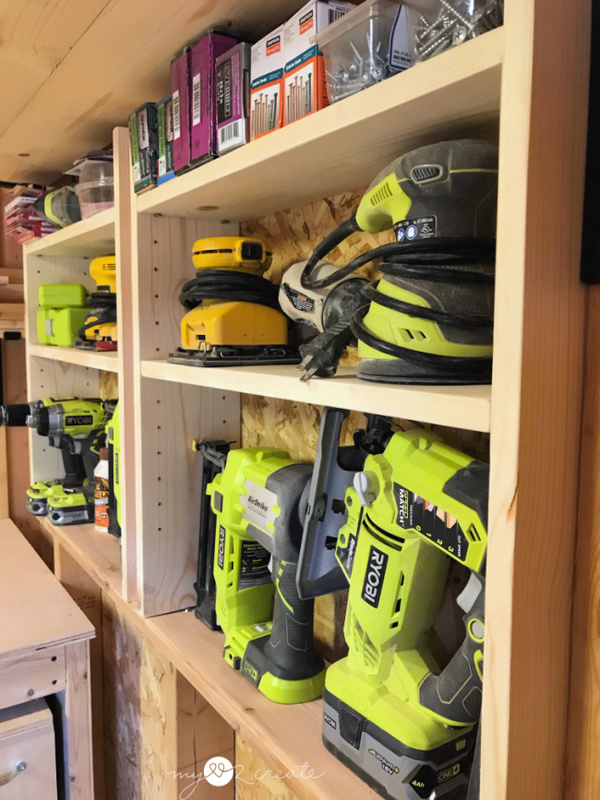 Don't make the same mistake as me and put off building your own in-between the studs workshop organization, consider building some adjustable storage shelves and make your life easier! 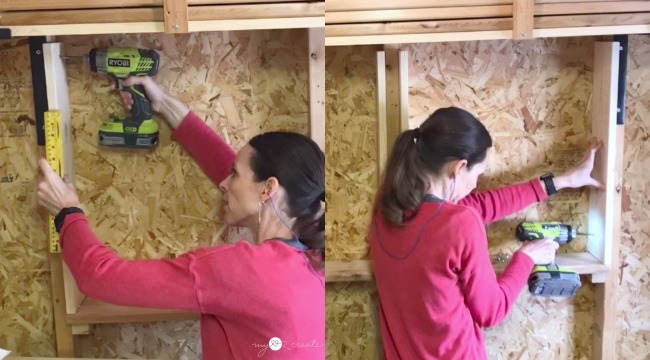 Did you spy my Easy Wood Storage Shelves above these shelves? 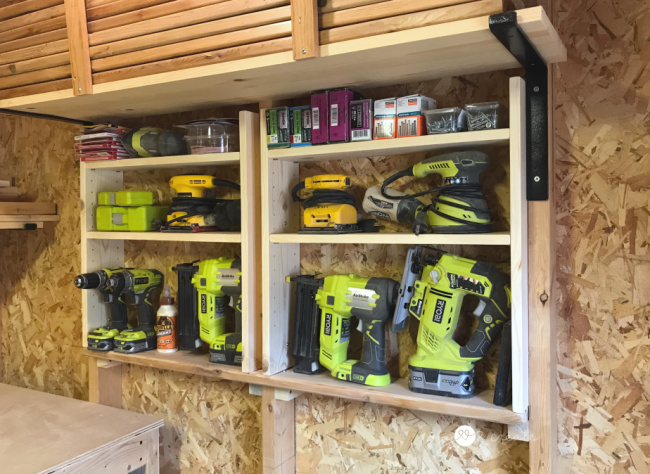 Just another simple and quick project that makes a huge difference in keeping my shop clean and organized. 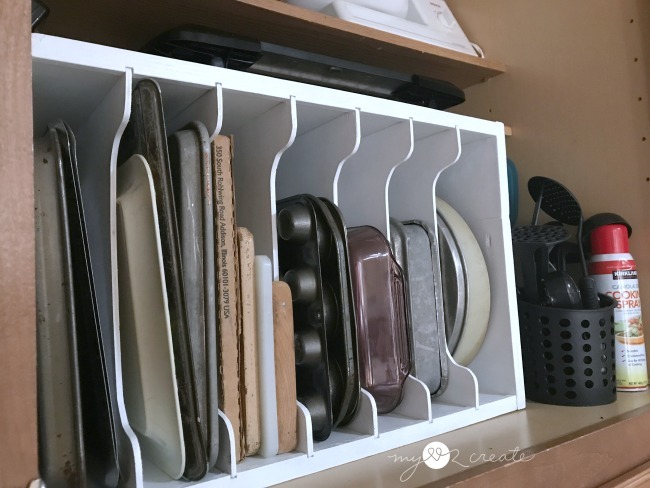 While we are speaking of getting organized...I have some amazing friends that are sharing their own great organizational projects. Please check them out though the links below, you are going to love them! Like my DIY Tray Divider. 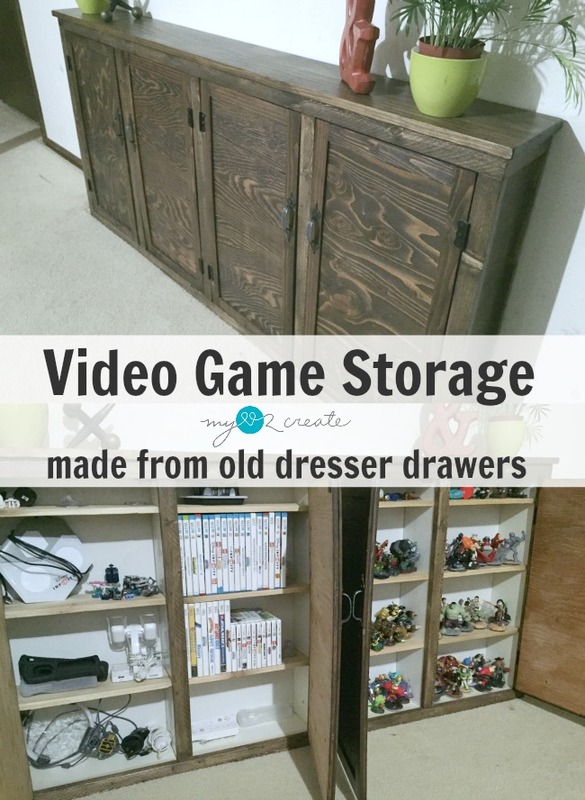 And My Video Game Storage, made from old dresser drawers. It is never to late to get your life in order, thanks for stopping by!